The Living Room – a place for relaxation, a place of calm and well-being, where you watch a touching movie, read a good book, enjoy a nice dinner, while away some happy hours. 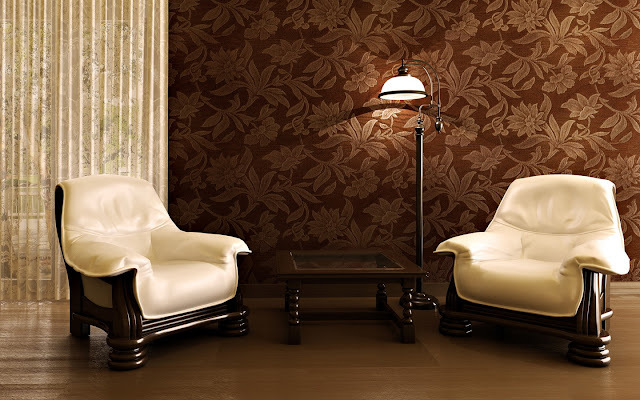 Living Room Wallpaper is a strong style element, used to turn dreams and ideas into reality. Living areas come in so many incarnations: sophisticated and modern, exuberant and opulent, a space-age lounge or a romantic get-away – wall coverings for the main living area can accommodate all this and so much more. We proudly present our brand-new luxury wallpapers and murals for the ultimate ambience. Our Living Room wall-papers are certainly no wall-flowers! They boast beautiful surfaces and structures; they provide gorgeous light-reflections and eye-catching optical illusions. There are no limits to their diversity, and the multitude of possibilities will satisfy the most sophisticated tastes: baroque or expressive modern styles, industrial design incorporating stone and brick structures, or calming natural wallpapers exuding warmth and comfort. Our murals will transport you to far-away places and indulge your imagination. Just see for yourself and fall in love with our new Living Room wall treatments! Here in Wallpaper Installation our multi-facetted living room wallpapers complement any style of interior design and bring the big wide world into your own home: Colonial style, country house style, shabby chic, Mexican heat, fast-paced America, French joie-de-vivre, Caribbean passion, Spanish fiestas, romantic Alpine sunsets or Swedish purism. A huge choice of patterned wallpapers, unusual wall coverings, hard-wearing yet gorgeous materials, and vintage wallpapers for those who prefer a retro atmosphere – our trendy and innovative wall treatments, designed by talented international artists, will fulfil even your wildest dreams.